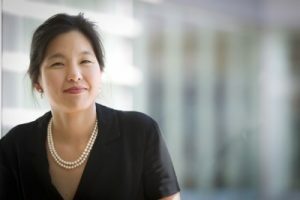 Dr. Yeh is a physician-scientist with an active surgical oncology practice focused on endocrine and pancreatic cancers. Her research and surgical oncology practice has focused on identifying vulnerabilities in pancreatic cancer in order to develop better treatment for patients using a combination of translational approaches. Using her surgical expertise she initiated a large Patient-Derived Xenograft Program with a major emphasis on the establishment of both primary and metastatic pancreatic tumors in order to use this platform for therapeutic and biomarker evaluation. 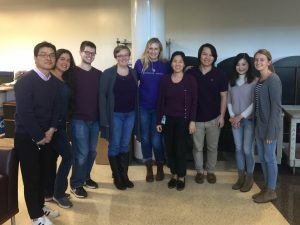 Recently her group identified new subtypes for pancreatic cancer that was published in Nature Genetics. Pancreatic cancer is a particularly difficult cancer to analyze because of its confounding and dense stroma and low tumor content. To solve that problem her group used a computational approach to separate the normal from the cancerous tissue and the stroma. These results help understand some of the controversy in the field regarding pancreatic stroma and will set the groundwork for future clinical trials, allow treatments to be assigned based on the subtypes, and guide the development of new therapies. The multidisciplinary nature of her work highlights her ability to meld disparate disciplines for pancreatic cancer research. Located within the UNC Lineberger Comprehensive Cancer center, the Yeh Lab’s focus is to identify and study novel therapeutic targets for the treatment of pancreatic cancer. Pancreatic cancer in particular continues to be a lethal disease with few therapeutic options. Our research therefore centers on target identification through genomic, and more recently proteomic analyses of patient samples. We have established a Patient Derived Xenograft (PDX) Program where we have successfully passaged and expanded ~200 patient lines from 10 different tumor types. With the increasing recognition PDXs and GEMMs are more accurate predictors of drug response and better models for biomarker and therapeutic discovery, these models are an exciting first step for the translation of our laboratory studies into clinical trials. As part of our initiative to develop novel strategies for treatment, we have a long-standing collaboration with groups at UNC to develop technology towards new diagnostic and therapeutic approaches for pancreatic and other cancers. 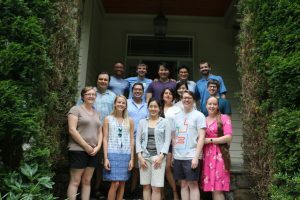 Reflective of the breadth of our research, members of the lab come from fields such as Epidemiology, Pharmacology, Bioinformatics and Surgery.